Albert, 82 years old, through his cell window is about to be locked into his cell for the night. As a security guard makes a round of the premise. Albert grew up in foster care from the age of three to nine years old, and he's been in and out of prison since he was sixteen. "If I wanted something in life at 3 years old I had to take it, if I needed food I had to take it, if I wanted a drink of water I had to take it. It wasn't given to me, you know." Originally published in National Geographic. Robert, 70, looks out his cell window. He has spent nearly 30 years in prison after being convicted of murder. In his free time, Robert mentors younger prisoners who have come in with drug addictions, something he's very passionate about. Norma, 76 years old, makes her bed in what used to be a closet. Norma requested to be separated from the younger female prisoners who she says are too loud and give her anxiety. A fellow inmate made this blanket for Norma. 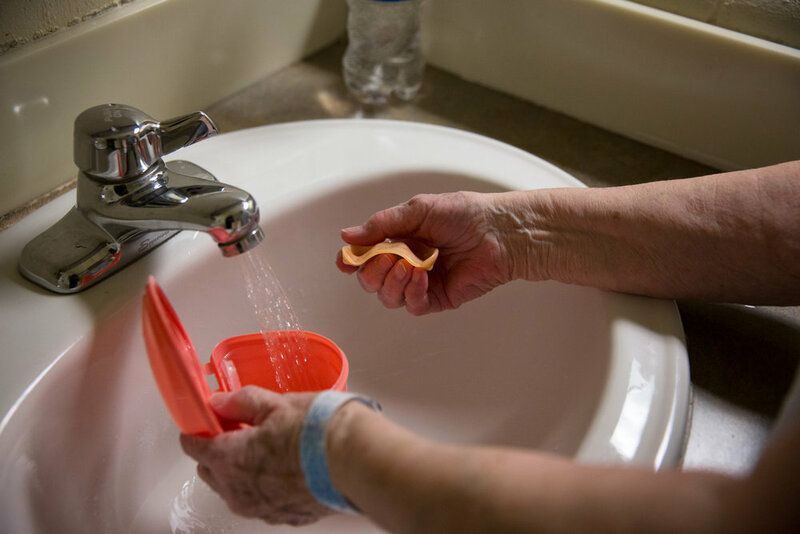 Norma, 76 years old, cleans her teeth after breakfast at Maine Correctional Center. Norma, 76 years old, has been in prison for 14 years and has never had a visitor. Inside, younger women have adopted her as a mother and grandmother. Most of these women are there for drugs and have lead traumatic lives. Norma encourages them to do better - to sign up for classes or earn their GEDs - so they can leave prison with something more than they brought in. Robert, 70, is in prison medical four times daily for respiratory problems. 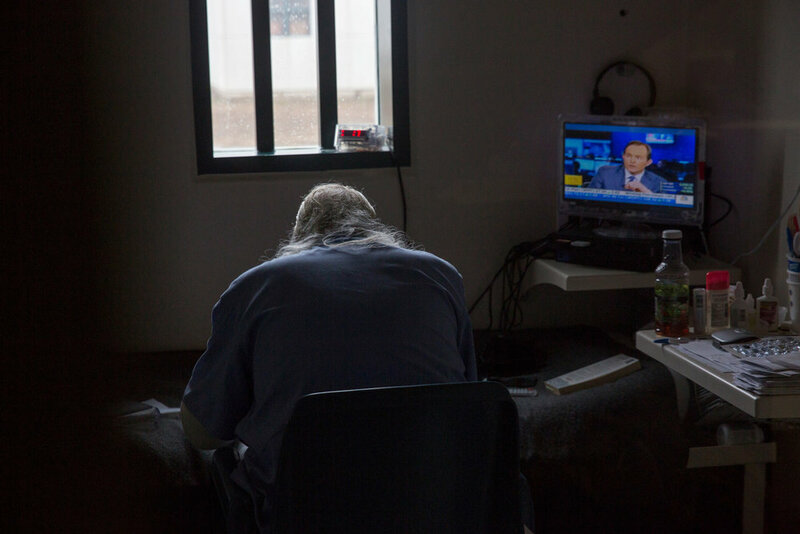 Prison systems across the country are facing a crisis as their populations gray. Rising medical costs are a factor in the growing costs of incarceration nationwide. Robert's medicial expenses cost the country between three and nine times more than the medical needs of a younger imate. Steven, 63 years old, tries his best to stay healthy in prison. He works out daily, in the warmer months runs the prison track, and buys his food from the commissary in order to avoid the prison food. Albert (right), 82 years old, plays chess with another inmate. 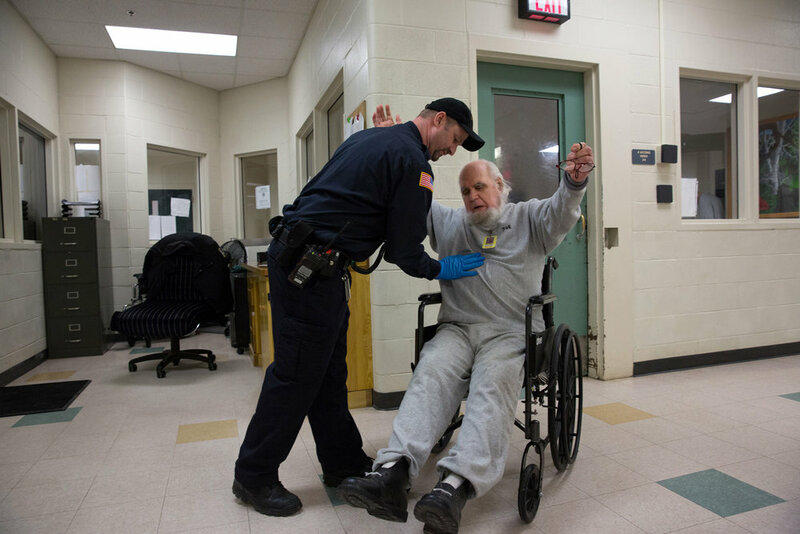 Albert, who is wheelchair bound, rarely travels farther than 30 feet from his cell. When he does "travel" he plays chess (8 ft away), boils water for tea (30 ft away), or picks up one of his three meals from the guard desk (15 ft away) which he eats in his cell. 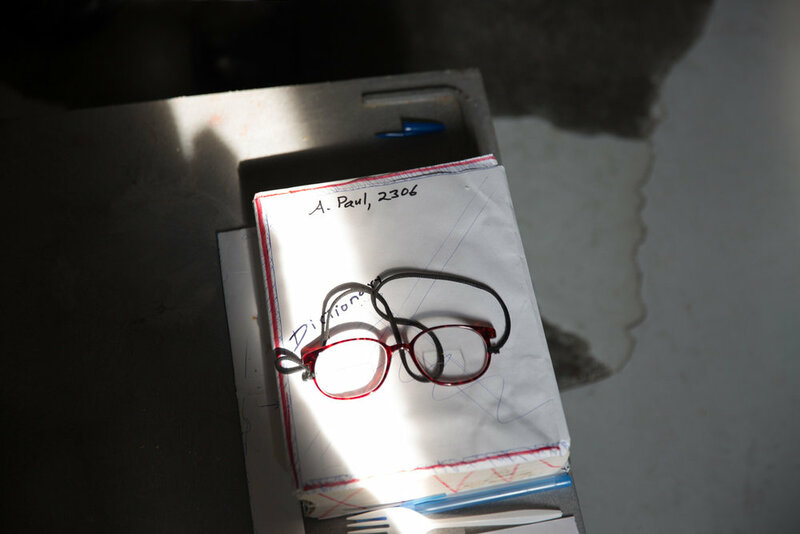 Albert's cell has notes and pieces of writing everywhere. He once spent ten years in solitary confinement, which he said he got through by reading, writing and designing a house. 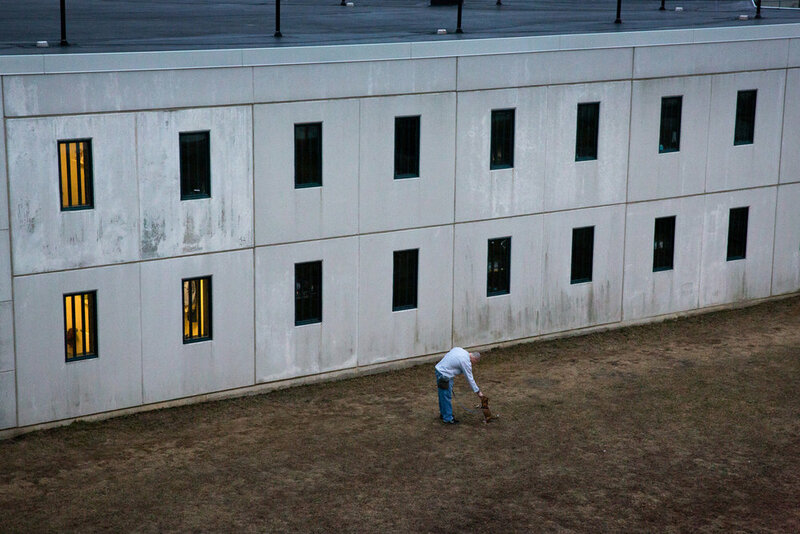 Every few weeks a new set of adult dogs and puppies come into Maine State Prison. These dogs are from shelters. The men share their cells and train them, in order to give them a better shot at being adopted.